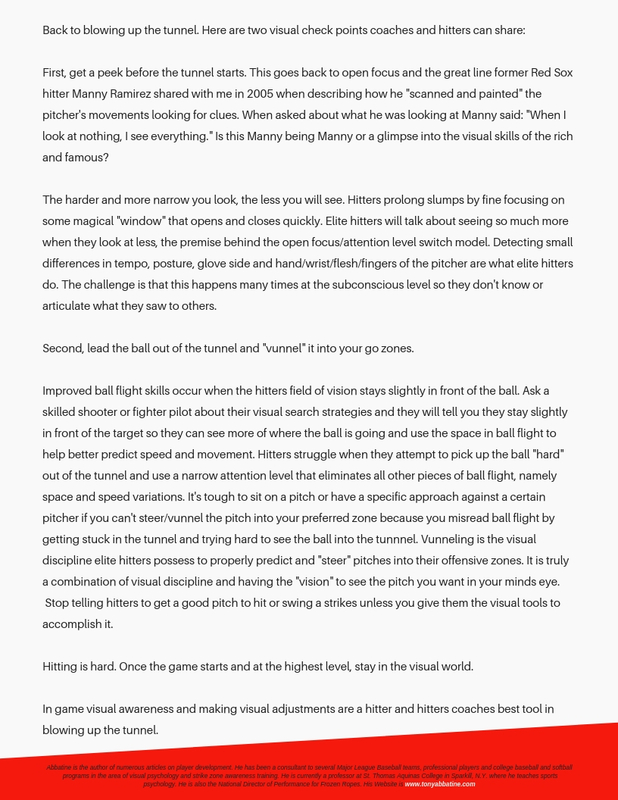 How Hitters Can Pick Up A Pitch’s Clues Earlier. 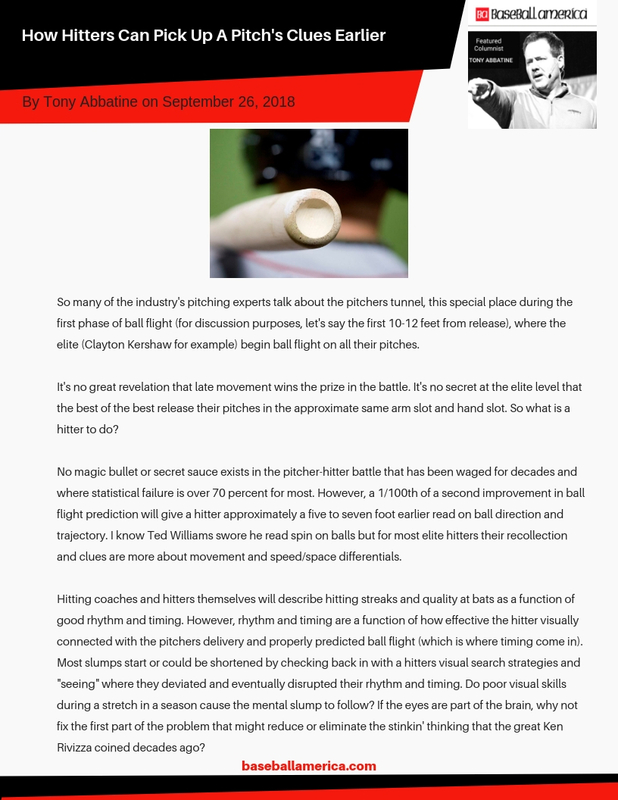 Read Tony Abbatine’ s bi-weekly column in Baseball America. Each edition he takes on the hottest topics in player development! baseballamerica.com tonyabbatine.com. Read why some become household names in baseball and others never find the road to the Show. An entertaining and thought provoking perspective on some of the key pieces of the “tools” the industry covets.